This cache is located near Dazaifu Tenman-gu in Dazaifu. 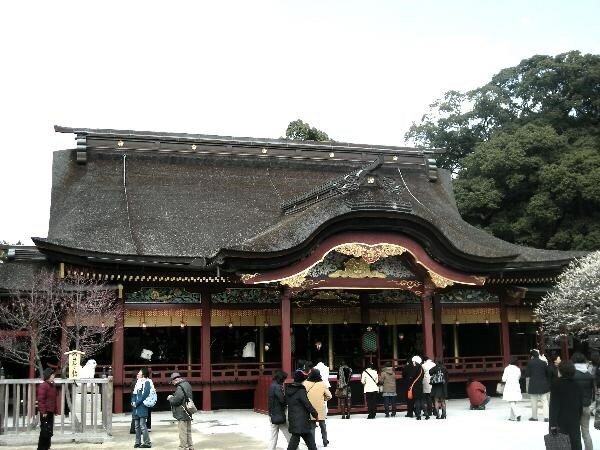 The Michizane Sugawara public known as "God of learning" is deified, and 2 million or more people visit Dazaifu Tenman-gu to the first visit in the year to a shrine every year. A prayer visits that taking-an-examination success can be carried out from the Japan whole country in a taking-an-examination season. 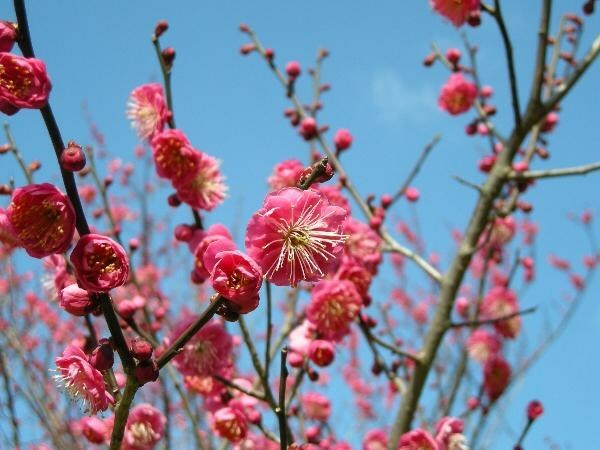 If a song is composed on the plum of Koubai-den of Kyoto when Michizane Sugawara who loved the plum starts for his new assignment to Dazaifu, there is "Tobiume" it is supposed that has been flown to the basis of the Michizane Sugawara public of Dazaifu in one night. Please enjoy the walk of the precincts of a temple, eating "Umegae-mochi" of a sweet and delicious noted product. Cache area is on a slightly elevated hill.